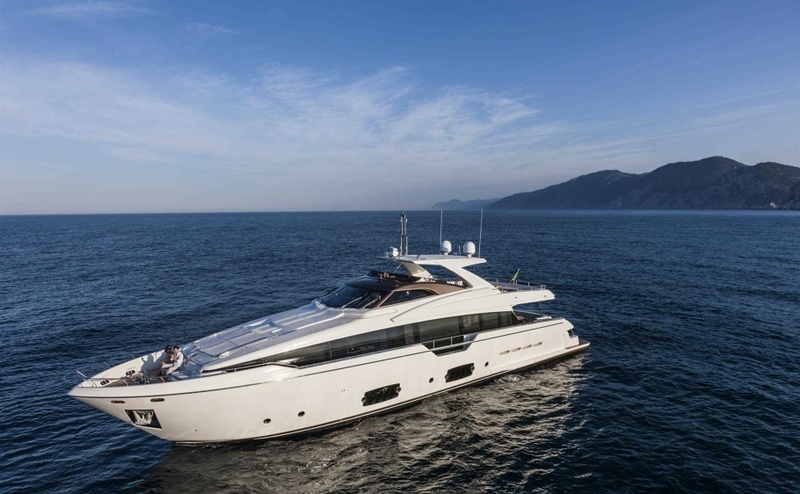 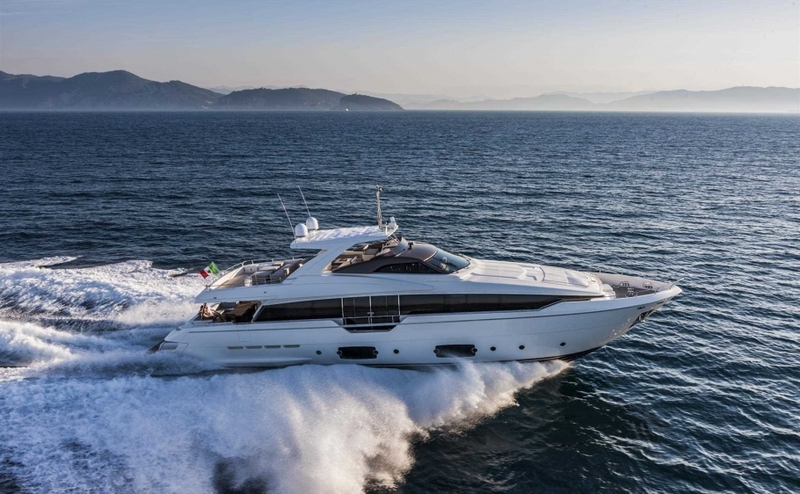 Motor Yacht ALEKSANDRA is a new 2014 delivered Ferretti 960 available for charter in the East Mediterranean for luxury crewed yacht charters. 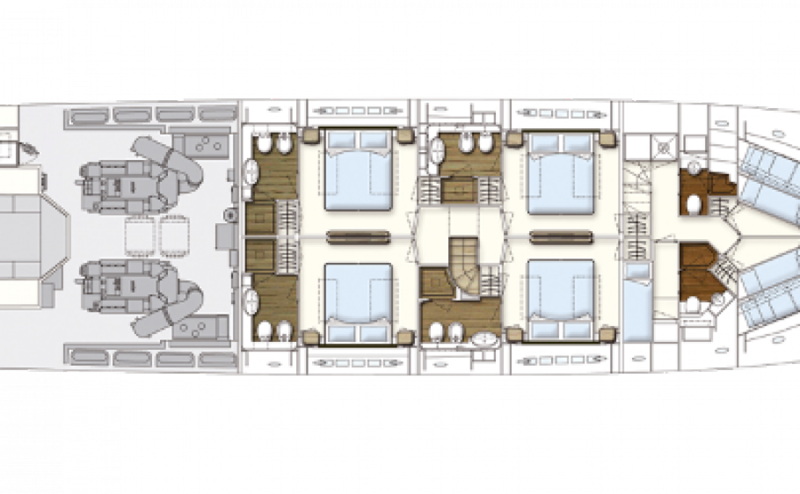 ALEKSANDRA has been designed to comfortably accommodate up to 10 guests in 5 luxury staterooms all with ensuite facilities. 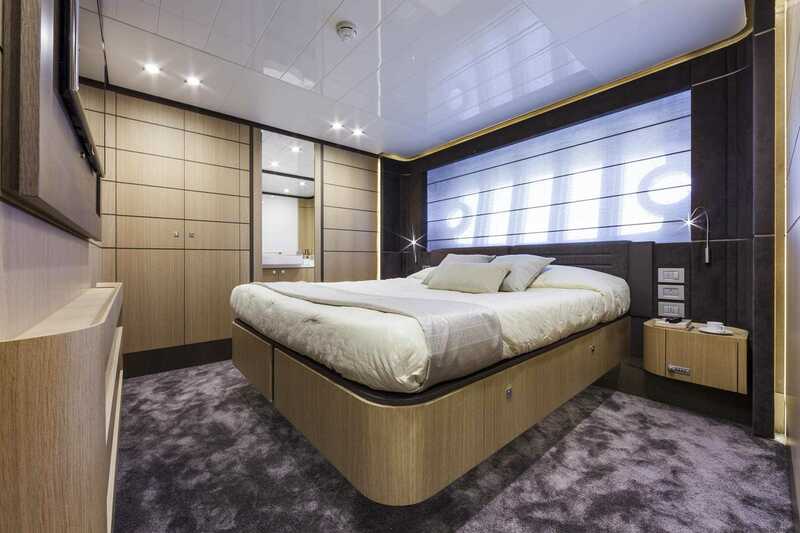 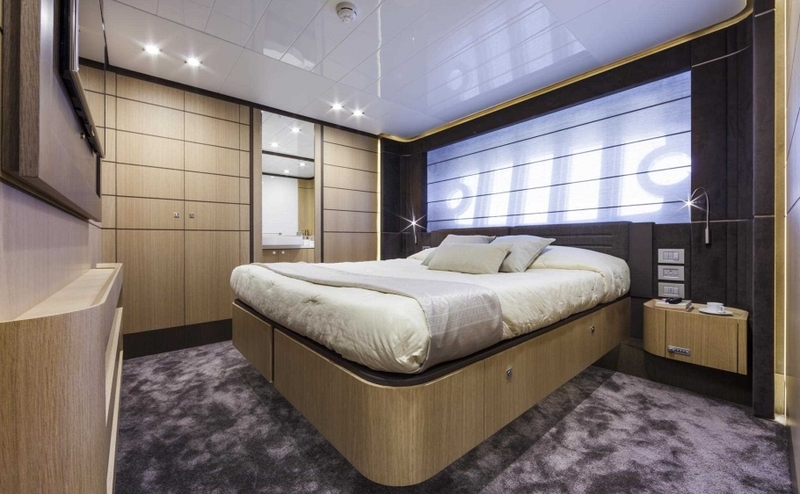 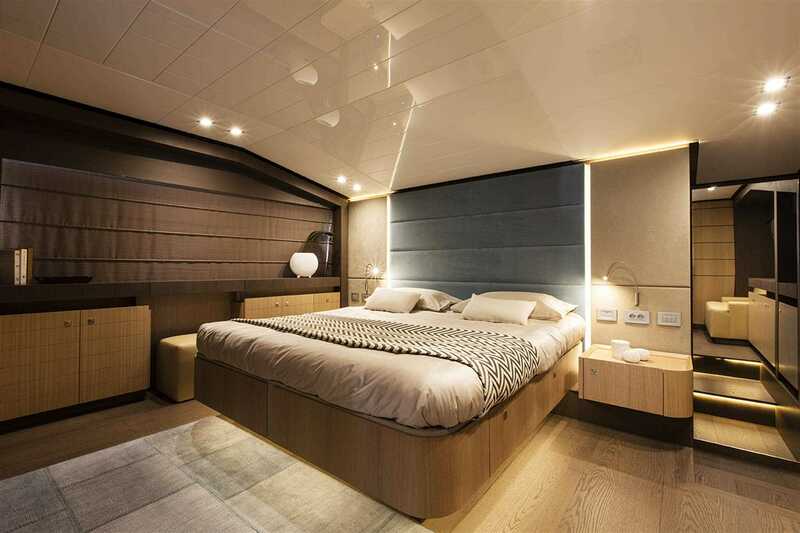 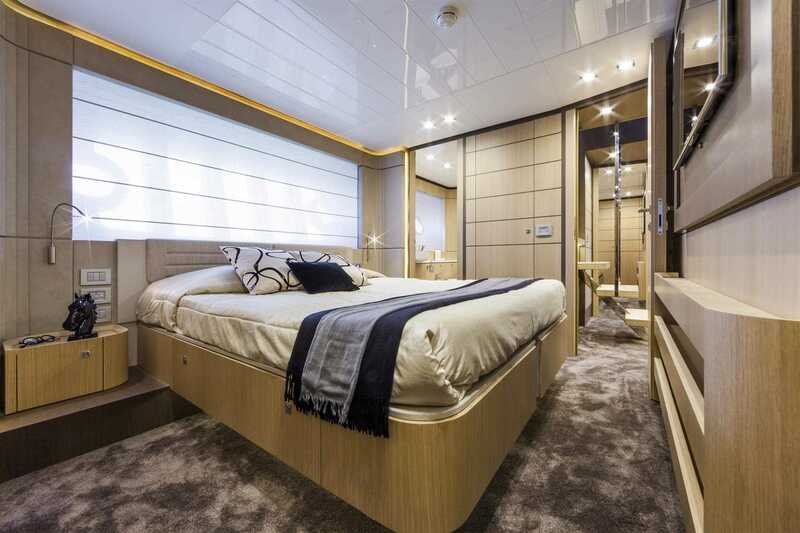 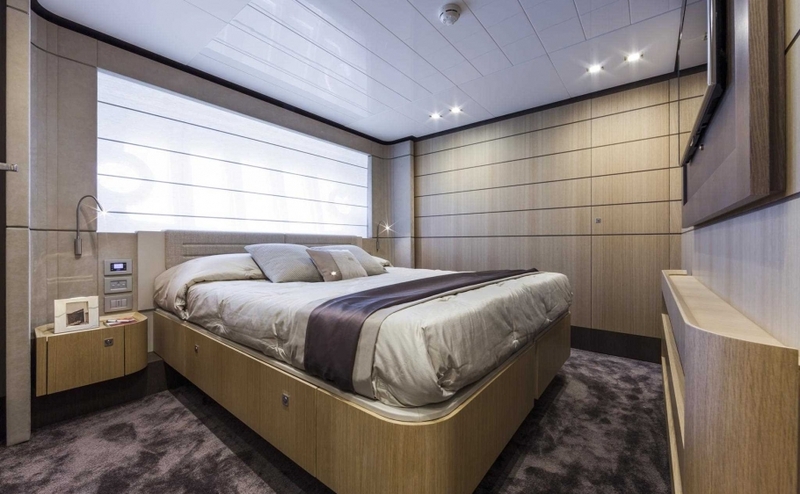 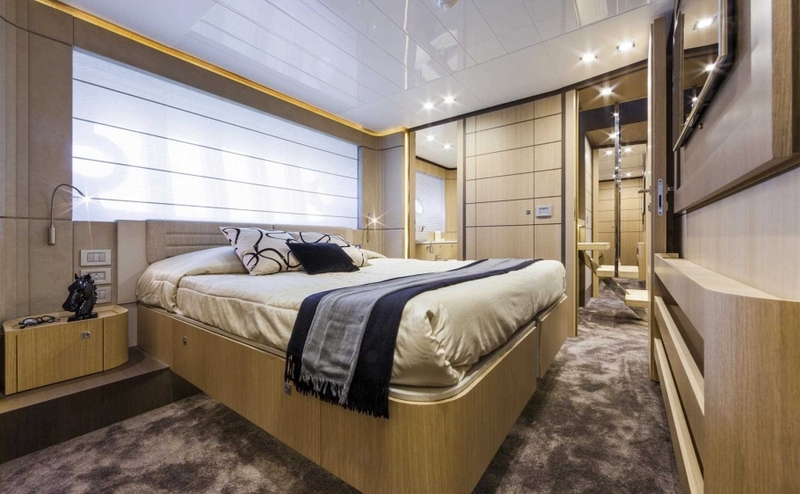 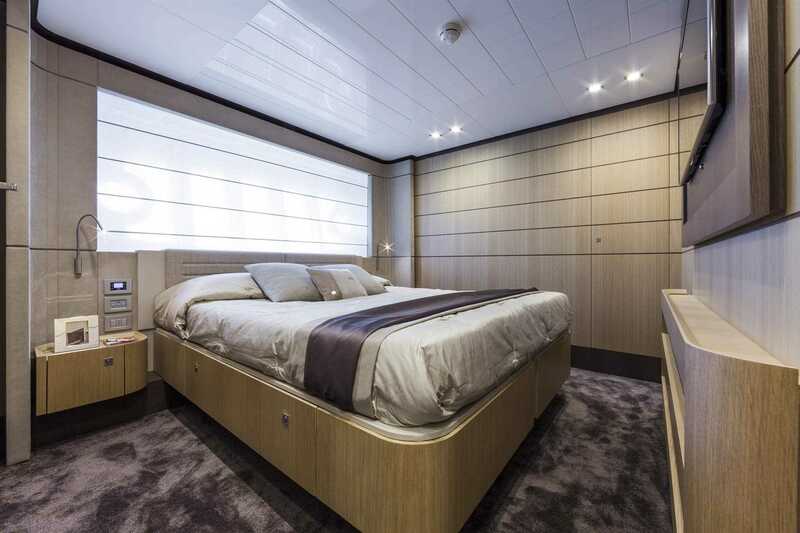 The interior arrangement is comprising of a master suite, 2 VIP staterooms, and 2 double cabins. 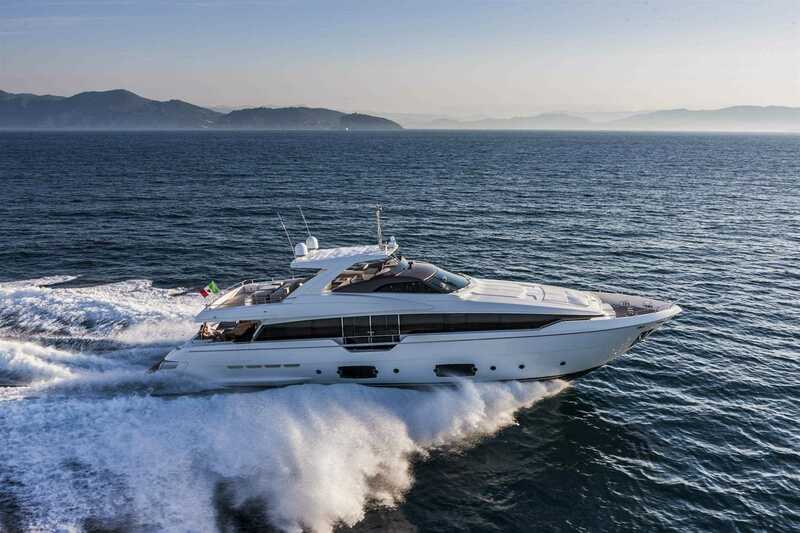 She is also carrying 5 crew members to ensure a relaxed and high standards yacht charter experience. 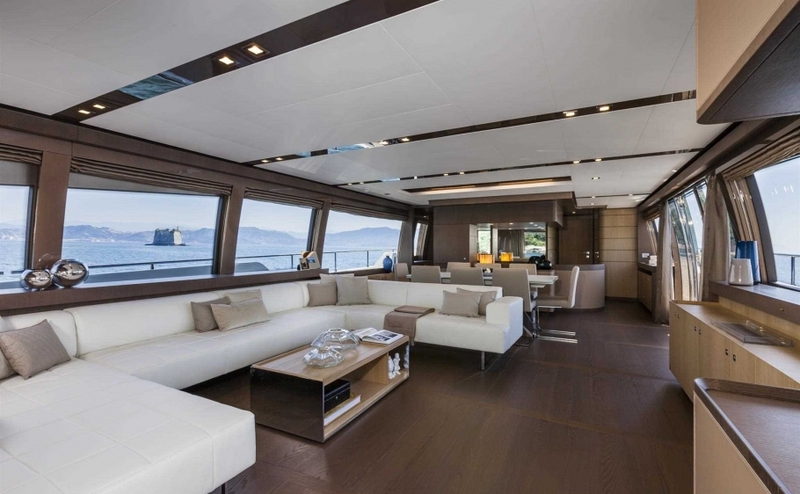 Exquisitely handcrafted and furnished, her vast interior is a real joy. 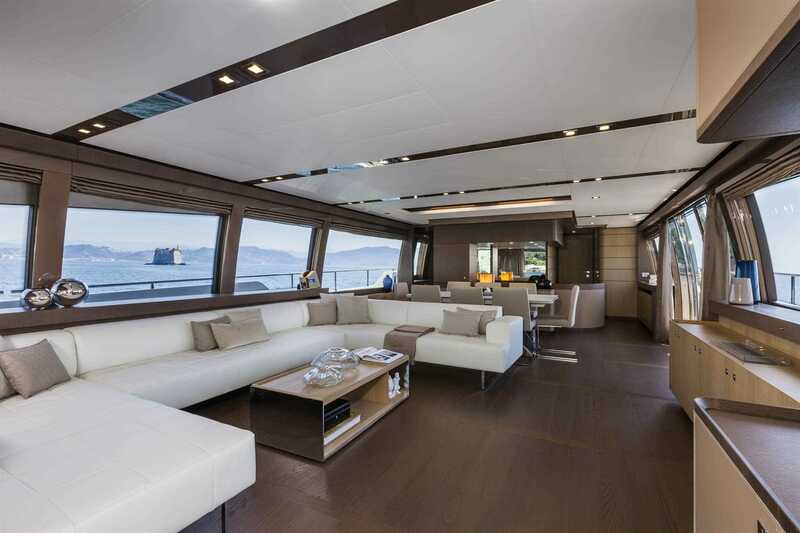 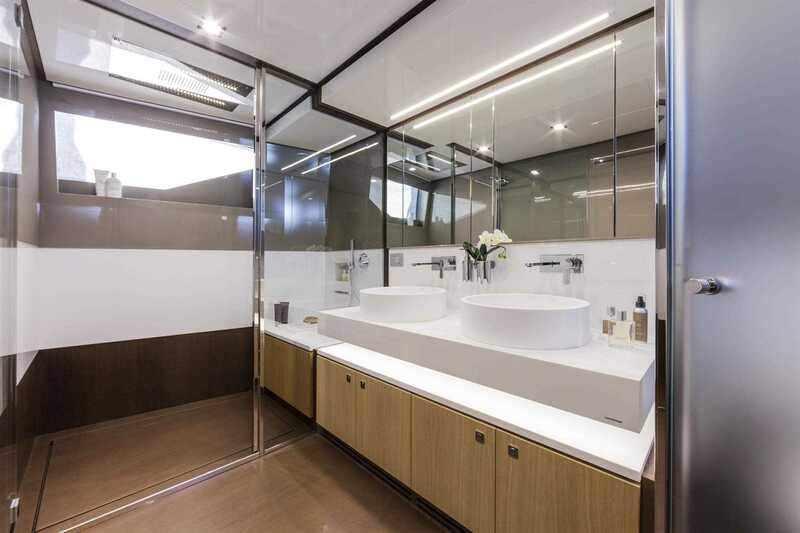 Light reaches into every area with panoramic windows on the main deck. 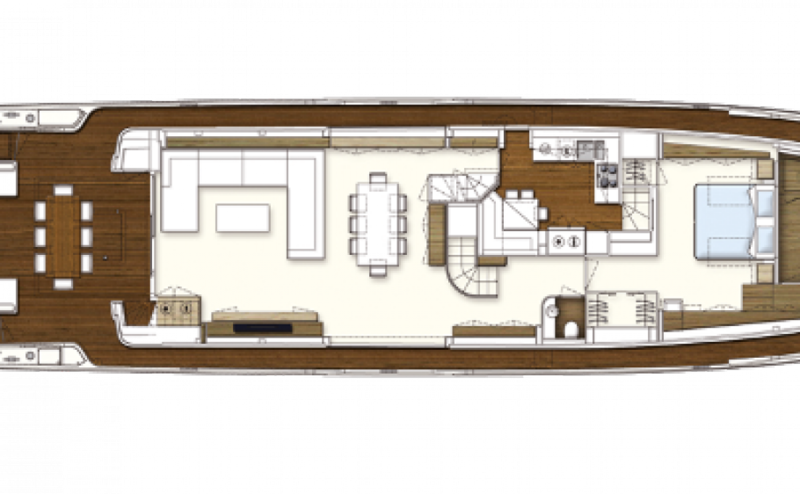 The expansive saloon and dining area create a wonderfully sociable space. 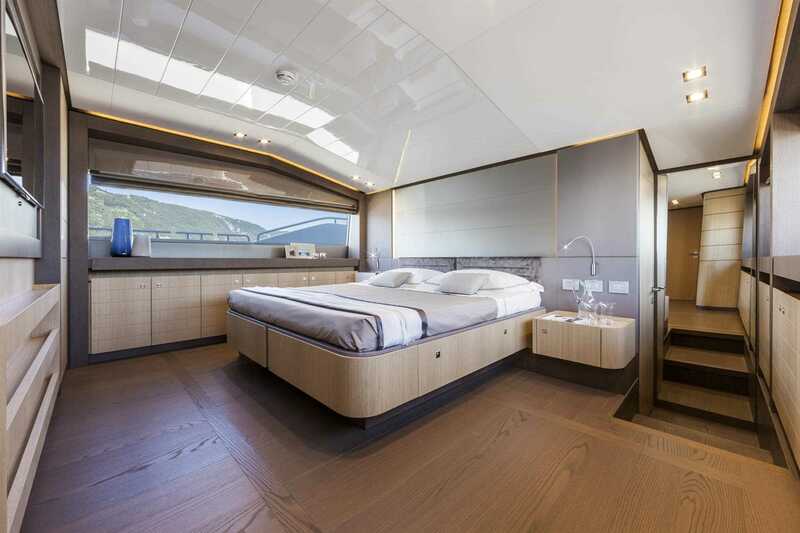 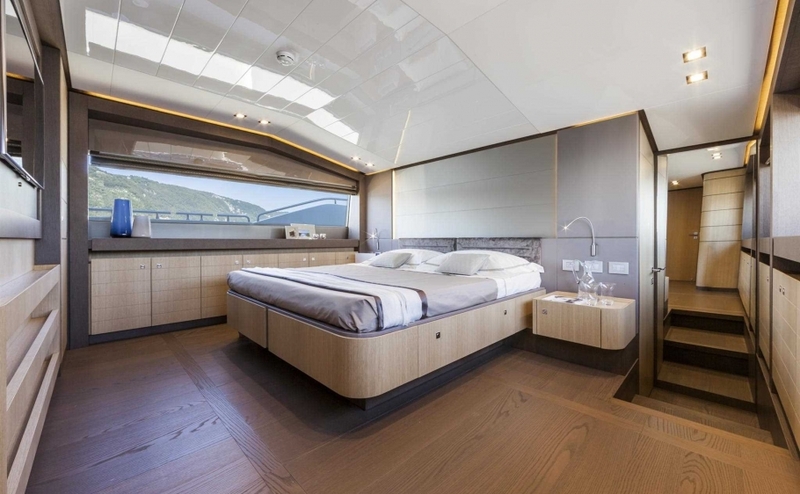 Modern and stylish, her beautiful furnishings and sumptuous arrangements makes her the perfect candidate for Ultra luxury cruises in the East Mediterranean. 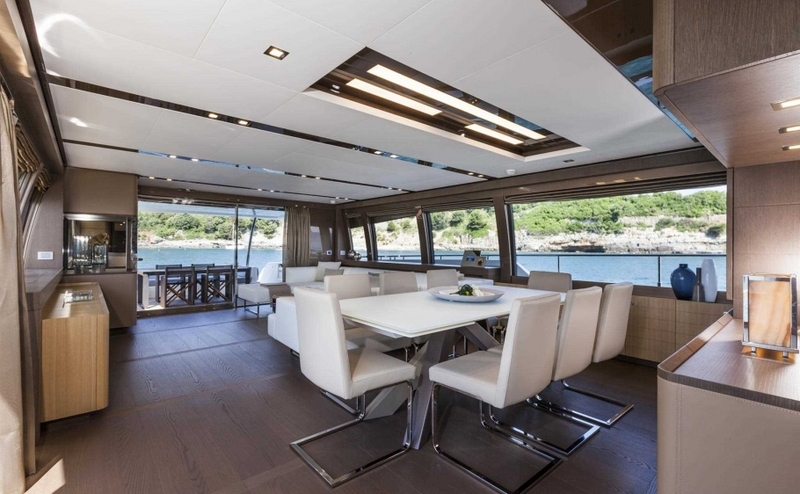 ALEKSANDRA is a popular sight in Split, Porto Montenegro, Hvar, Dubrovnik, Kotor, Croatia, Montenegro, Venice, Slovenia. 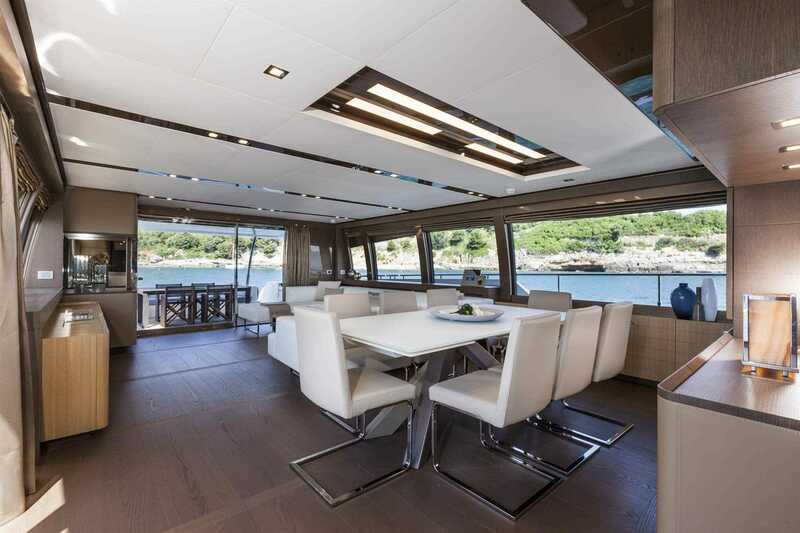 ALEKSANDRA features impressive leisure and entertainment facilities and makes her the perfect charter Superyacht for socialising with friends and for a great party. She is also ideal to explore East Mediterranean with the all family.